Elevate Your Ethnic Style Everyday With Womens Clothing From Craftsvilla! 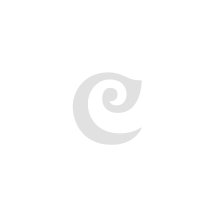 We at Craftsvilla are aware of the constant changing pace of the world of ethnic fashion. So, tell us-are you a fan of traditional styles or a true patron of the chic charm that is exuded by latest fashion? Fret not! Our womens clothing styles speak for both schools of thought and will always cater to your every style need, no matter what the occasion. Keeping in mind the current renaissance that it is going through, we are committed to updating our womens clothing collection with the latest trends every day. Yes, you read that right! Our huge, varied and vibrant collection of womens clothing online gets updated on a daily basis to cater to the ever changing facade of the ethnic fashion game. Our collection of womens clothing is carefully curated; so as to suit the style needs that every occasion demands. What makes it even more unique is the fact that these collections get updated with the newest styles and latest fashion trends on a daily basis. We consider it our prime duty to provide the widest, trendiest and the most fashionable collection of womens clothing to every woman who loves shopping online and make it a unique experience that leaves room for wanting more & more! A Saree is the epitome of ethnic fashion. As far as womens clothing is concerned, a Saree is indispensable. An ethnic wear wardrobe is incomplete without Sarees suitable for any/every occasion! Keeping this notion as the cornerstone of our latest Saree collection, we are proud to host a plethora of unique Sarees that will help you make an exquisite statement, no matter what the occasion demands. Our collection of Sarees have everything that you’ve ever wanted in this coveted garment- the picture perfect blend of trend meeting tradition. Right from traditional Silks to trendy Half-N-Halves, we’ve got them all! A big Benarasi Saree buff? Our collection of beautiful Benarasis is heavenly in its own right. Explore a wide range of dreamy designer Sarees that will catch everybody’s attention and make head turns in our widely favourite Printed wonder drapes! What a plain White t-shirt is to a classic western wear wardrobe, a cool Kurti is exactly that to an essentially ethnic wardrobe! This hugely popular ethnic staple in the womens clothing category is available in a variety of choices on Craftsvilla. We believe that a Kurti is an ethnic , everyday wardrobe essential, hence it is our aim to offer the widest, trendiest and stylish range of Kurtis possible! No other garment the world of fashion can replace the charm of a classic Kurti. You would totally agree with us on this one, as you explore our Kurti collection, complete with vibrant hues, straight cuts, A-line silhouettes, asymmetrically aesthetics and much more that are in sync with the latest styles coveted by the desi divas of ethnic fashion! We at Craftsvilla, like to think of a Salwar Suit or an Anarkali as the ultimate outfit savior, whenever we are faced with those ‘i-have-nothing-to-wear’ wardrobe dilemmas. After all, donning a Salwar Suit/Anarkali makes you look classy & stylish- whatever the need of the occasion! Right from Sangeet to Shaadi, a picture perfect Salwar Suit/Anarkali will cater to your style. Suits and Anarkalis have been around the ethnic fashion circuit since ages and with each passing year, get more fashionable and fabulous than ever. Not only is a Salwar Suit or an Anarkali on every Bollywood diva’s wish list, but is also coveted by women who do not share an affinity towards ethnic fashion. Why do you ask? 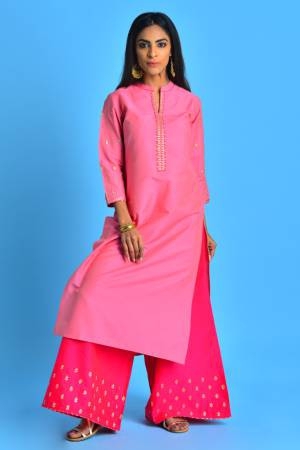 Well, they are the comfiest chic ethnic outfits ever made under womens clothing! Be it a Patiala, Flared, Straight Or Heavily embroidered, a Salwar Suit will always let you be in your comfort zone and an Anarkali no matter what the style, will always help you keep it stylish! Hence, our latest collection of Suits & Anarkalis houses the trendiest suits that boast of the Patiala pride, Flare loving bottoms, Floral printed wonders and many more styles suitable for every occasion. A womens clothing collection is incomplete without Lehengas that are not just picture but twirl perfect! Right from a Bride to a beauty who loves all things ethnic, a Lehenga never ceases to amaze their minds. As a result, our latest collection of Lehengas speaks to the very soul of ethnic style. From contemporary to traditional, our Lehengas are a boon to our ever stylish womens clothing line. You name the kind of Lehenga styles you love and we have it- from fish tailed bottoms to co-ordinate sets; from bright hues to lovely pastel shades; from digital prints to floral! If you are someone who loves doing everything from scratch an gets by with a little help, our semi stitched Lehenga collection is just right for you! The key to having a unique wardrobe that exudes grace and style is constant change and of course- experimentation. What better place to explore that school of thought, than the biggest collection of womens clothing online? We at Craftsvilla aim to keep up with the trends by updating our carefully curated collections with the latest womens wear every single day. Latest styles, trends and designs are available at amazing, affordable prices that are loved by one and all. We stand for the phrase- value for money and will always aim to create a wonderful, fulfilling shopping experience online. Shop with us and refresh your ethnic fashion sensibilities every day! Head to our website to get in on the latest ethnic trends for womens clothing online or download our smart phone App to avail discounts and never-seen-before prices for priceless ethnic outfits!